About a month ago, I posted my 18 before 2018 list of the goals I wanted to work on before this year ends. #12 was about finishing up my mostly done products I have floating around the house, which I've really gotten a good start on in the last few weeks. I ending up 'hiding' some of the newer things, i.e. putting them in a basket in the closet so I couldn't use them until I used up the old items, so I have a lot of empties to share with you. 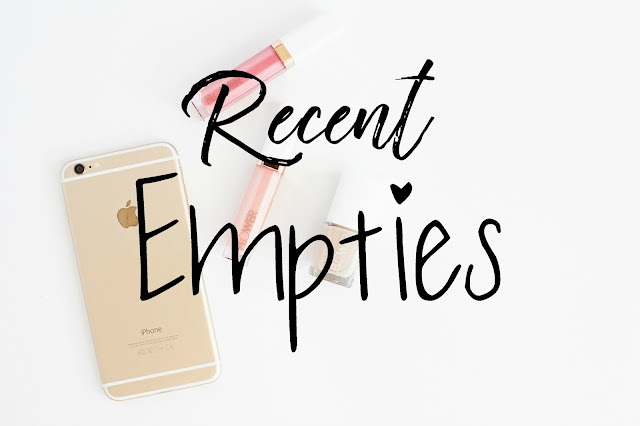 Sharing empties is always an interesting read for me, because you get a real idea of how much you like or don't like a product once you get all the way down to the bottom. 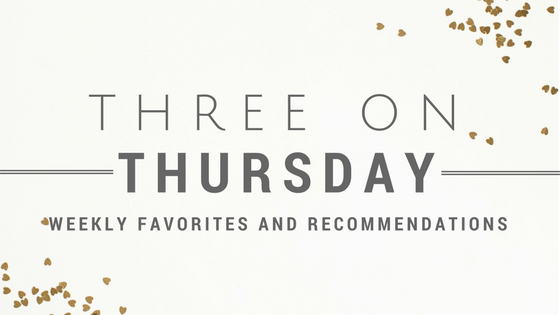 I let you know my favorites on my Three on Thursday posts, but I don't generally talk about the stuff I didn't care for or even the stuff that was just okay. Hopefully this gives you a better idea of how I feel about everything I've been using up. Lush Full of Grace Serum. This is a solid moisturizer that starts to melt with the warmth of your skin, so once it's on your face it feels like you put an oil on. I like this stuff, but only at night. I find it greasy, even in small amounts, which my skin desperately needs after I wash it but I couldn't layer makeup over this. It seems small when you get it, for $17, but it lasts a pretty long time so I don't mind paying it. I don't know that I would find it creamy enough in winter, so I won't be repurchasing immediately, but I'll probably get it again in the spring. Lush Angels on Bare Skin. It was just a month of Lush products, clearly. This is a holy grail cleanser for me, it works so well. I use it on my face only because it's damn expensive for a tiny little pot, but you don't need much so I guess it averages out. It makes my skin super soft but it also doesn't irritate it, which is hard to do since I have rosacea on my cheeks. I already repurchased it, I never find anything I like more so why bother. Kiehl's Creamy Eye Treatment with Avocado. This was something that came promotionally, because Kiehl's isn't cruelty free and therefore isn't a brand I support. But this eye cream gets a lot of raves, it's massively popular, so I figured I'd give it a try since I had it anyway. Definitely not worth the hype and price, regardless of their animal testing status. I noticed right away that it wasn't any better than any other eye cream, but there are some products that require multiple, consistent uses to see the effects, so I used it until the end. Nope, not one of those products. Plus, this burns my eyes and contacts, so that can't be good in an eye cream. There are way better and cheaper options out there that actually work, don't waste your money on this one. Pacifica Coconut Power Shampoo and Conditioner. Pacifica brand things are absolutely hit or miss for me, nothing is just 'meh, alright.' Their perfumes are an obsession but this shampoo and conditioner? Nope. 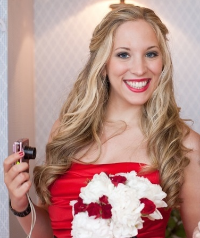 It was the strangest thing - the shampoo didn't really clean well and the conditioner didn't feel like it was helping with softness and tangles at all, but then my hair would feel really weighed down and kind of greasy, which never happens. I gave it a couple of tries but then it had to go because my hair just hated this stuff. I want to love all Pacifica things because they're cruelty free and use only clean and green ingredients, but their products need work. Essence Lash Princess False Effect Mascara. The 'get a new mascara every 3 months' rule is about the only one I follow when it comes to makeup expiration dates. Whoops. But the mascaras actually dry out and I can tell a difference in quality so I know when it's time for a new one. Luckily this Essence one is holy grail status for me AND $5 or less (depending on sales.) I've recommended it many times already, it's a great mascara. Anything on my list that you also use? Agree or disagree with my opinions on them?